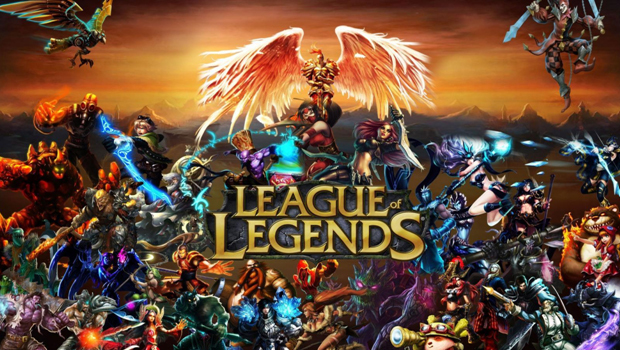 League of Legends is by far one of the most popular games and chances are that you must have heard of it if you've been in the gaming community. LoL is the leading MOBA (Multiplayer Online Battle Arena) on the market and boasts one of the largest player bases that ranges from professional eSport players to every day casual players that log in just to have some fun. If you've been on the fence about playing League of Legends we're here to bring you 5 reasons for why you should start playing LoL immediately! When it comes to play styles and characters, League of Legends offers the most variety while maintaining a consistently high quality for all its characters. Not only is each character unique with a completely different feel, but are somehow interconnected with one another in the lore that adds a certain depth to the game which you just can’t find anywhere else much less in a MOBA. Whether you like to be on the offensive or help support teammates, League of Legends gives you complete freedom so that you can play the way you want. If you're looking for a MOBA game with a lively player base then you won't find a better option than League of Legends. Unlike other MOBA games such as Smite or Heroes of The Storm, League of Legends rather than losing players continues to gain more players every year and by the looks of it, that's not going to change anytime soon. LoL is one of the largest eSports and thanks to its massive popularity League of Legends won't be going away anytime soon making it perfect for anyone that wants to get into a MOBA for the long run. Are you interested in lol coaching service? Learn more lol coachers please. Since League of Legends came out back in 2009, it has been constantly receiving updates to keep it up with the times. From new characters to lore to new graphics and even gameplay mechanics, League of Legends has received a variety of new content almost every month and still does. League of Legends gets frequent game updates and patches that add a variety of new content keeping it fresh for older players and makes it even more enjoyable to play for new players by making sure they never run out of stuff to do. When you come down to it, it's just a very fun game to play! Whether you're an experienced player migrating from Dota 2 or a new player, you'll enjoy League of Legends just as much as everyone else. With an amazing roster of characters to the ever-changing gameplay elements, this is one of the few games that are truly timeless. Admittedly, it can be frustrating when your team doesn't play as a "team" or if someone decides to quit halfway through but playing when you're outnumbered with only your skills to rely upon is fun in its own way. The more you play, the more you’ll understand just why it's such a great game so why not get started today?